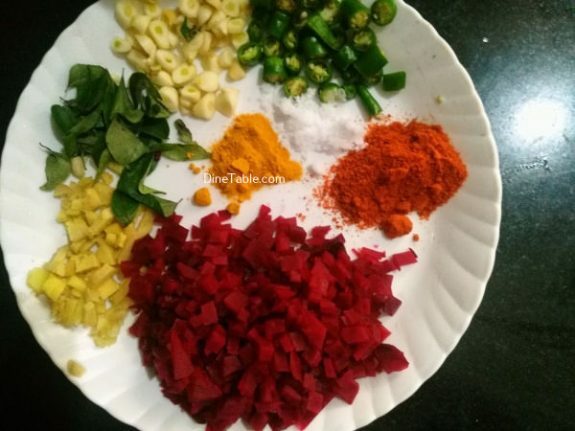 Beetroot Achaar is a super tasty and simple pickle. 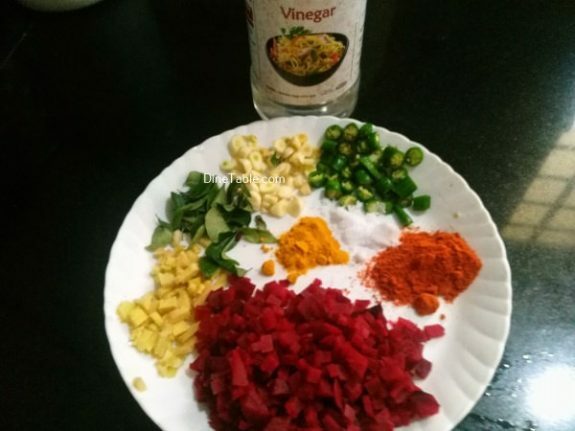 We usually prepares pickle with lemon, mangoes, fish… Beetroot pickle is also that much simple and tasty. 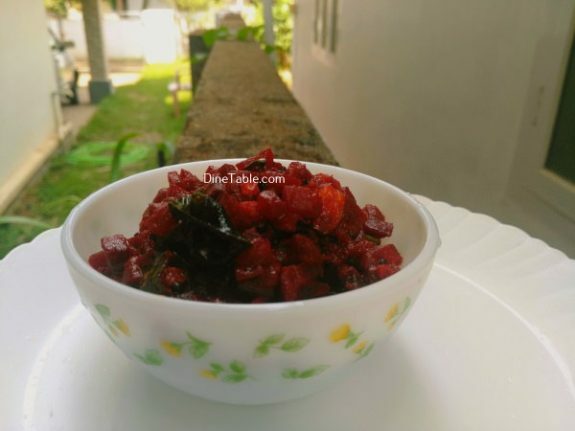 It is very easy to prepare and requires very few ingredients. 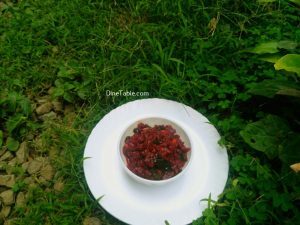 Beetroots are great source of vitamins, minerals, antioxidants and dietary fiber. Beetroots are rich in vitamin C, manganese, folate, vitamin B6 and potassium. Beetroots are high in several beneficial plant compounds, especially beetroot red, vulgaxanthin, and inorganic nitrates. In particular, inorganic nitrates are associated with reduced blood pressure. They are low in calories, yet high in valuable vitamins and minerals. Beets contain a high concentration of nitrates, which have a blood pressure-lowering effect. This may lead to a reduced risk of heart attacks, heart failure and stroke. 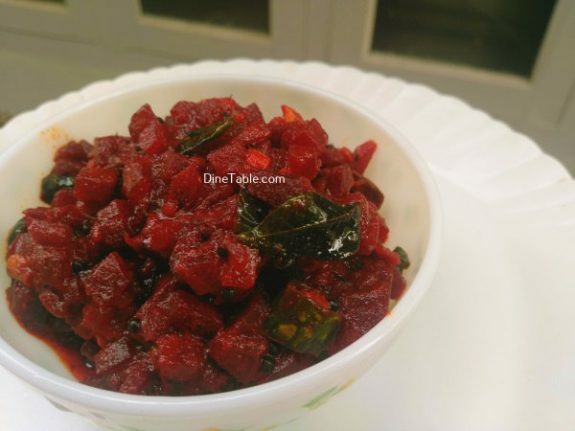 Try this simple and delicious Beetroot Achaar at home. 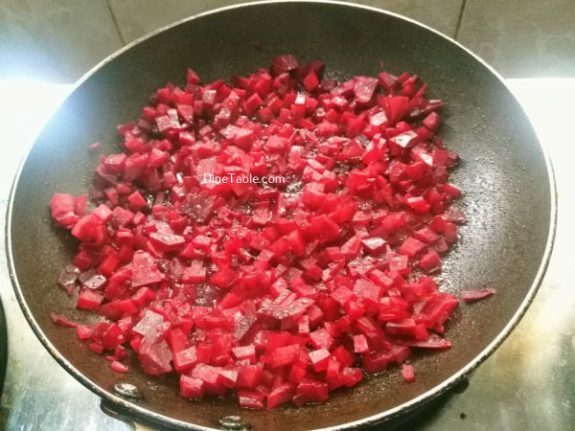 Peel and cut beetroot in to small pieces. Wash well with water. Clean the ginger and garlic and cut them into small pieces. 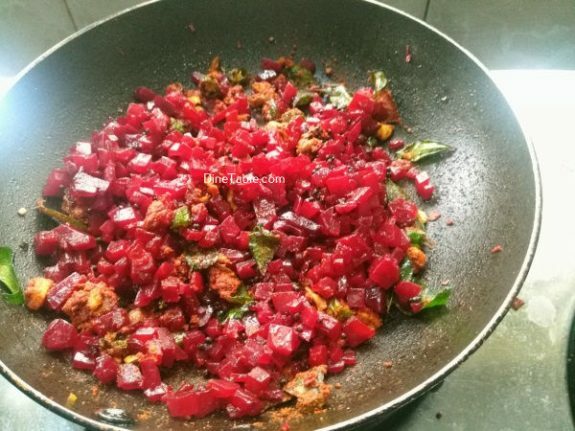 Heat a pan add 1 tbsp of oil and fry the chopped beetroot on a low flame for 5 minutes. Keep it aside. Heat a pan add 2 tbsp of sesame oil and add mustard seeds. 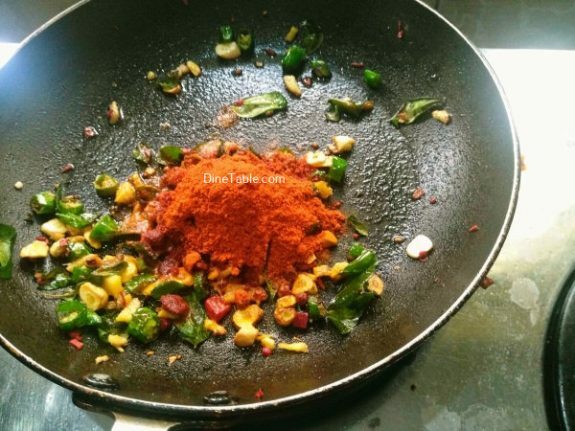 When the mustard splutters add curry leaves, ginger pieces, chopped green chilly, garlic pieces and saute for 5 minutes on a low flame. 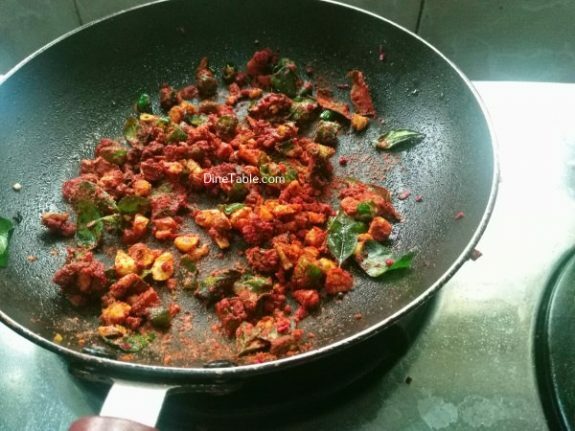 Add red chilly powder, asafoetida powder, kashmiri chilly powder and fenugreek powder into it and fry for a minute. 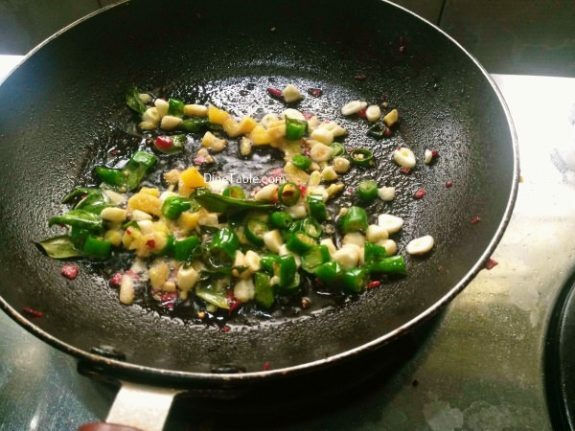 Add vinegar and salt into it and saute for another 3 minutes on a low flame. 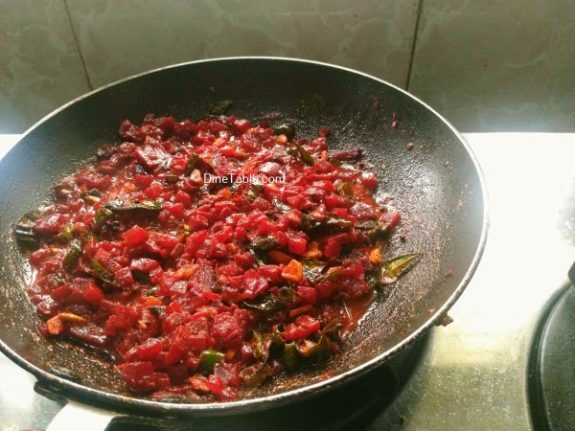 Add the fried beetroot pieces, saute well and cook for 5 minutes on medium flame. Add 5 tsp of boiling water and mix well. Once it starts to boil, switch off the flame and allow to cool. 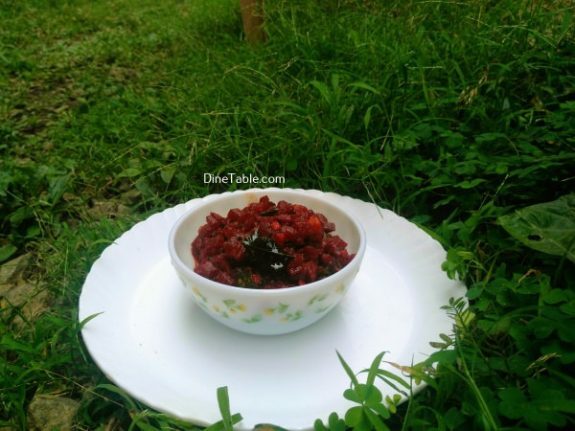 Delicious Beetroot Achaar is ready.